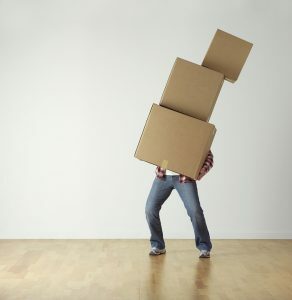 Posted on February 6, 2019 by Richard S.
Moving can be extremely stressful for you and for your family, especially when you have to move on short notice. Do not despair, this is completely manageable. You just need to have some tips and tricks, and you will find them right here. We will give you pointers on how moving on a short notice is completely possible and maybe even easy. Look at it this way, at least you will finish this moving process fast. You will move in no time simply by following some to-do things that we will mention right here. So, if you want to move successfully and in a short notice, stay tuned. Not necessarily in this order. Make a list that will reflect all the things that you think are extremely relevant when moving on short notice. However, it is really important to sit down, think clearly and make a checklist that will be so helpful for this moving process. Next step would be to follow the first to-do thing from your list, which should be finding out about the cost of hiring a good moving company. This means that you should investigate. Yes, you may have little time to do this, but it is important. Sit down, go to the internet and start looking. Avoiding fraudulent companies is something you need to learn how to do. Find three companies that seem suitable for you, check to see for how long are they in the business, do they have a working license, check their online reviews and finally call them to see if they are available. It is somewhat hard to find a good moving company on a short notice. But it is not impossible. So, give your best and start looking. You should ask someone to help you. A family member or a friend. With some help, you will pack easier. Of course, you should still be organized the best way possible. So, make sure to talk and pack. When you talk and make a plan together how and in which way you will be packing, it will be easier for you later to know what is where. That is pretty important when moving on a short notice. To still be organized even though everything is fast. 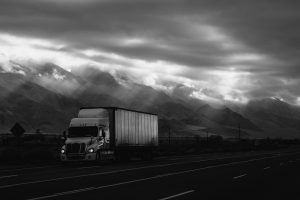 Once you are all set and packed, if you are moving long-distance, shipping may be the best solution in order to get your things faster. Therefore, shipping companies Kuwait are a way to go when you need a quick solution. This is something that you ought to have when packing. There are all sizes of boxes, and you can get them for free if you just go to some large convenience store and ask for them. Sometimes they don’t have them anymore, but you can try. Usually, they will be able to provide at least with a couple of boxes. In this way, you will save a buck or two. Moving blanket is something that you can rent from the mover’s company or professional packers in Kuwait who can do all of this for you. They can pack you in no time. 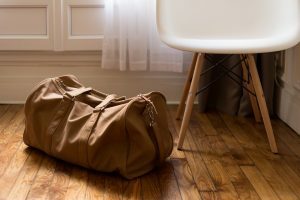 It is crucial not to forget to pack an overnight bag. This bag is a necessity. First night in your new home requires this. Just imagine coming to your new home, after this hectic and fast moving process, all tired and exhausted. This bag is just for that. To have everything you need for the first night in your home at the reach of your hand. Moving on short notice can be tricky, and even if you have a checklist some crucial things can be forgotten in the process. Therefore, before you start to pack anything, pack this overnight bag first. Change of clothes, toothbrush and paste, change of underwear, and you will be all set. Decluttering is probably the first thing you should do. Before anything. This takes time so maybe you can skip this part. However, decluttering on some level can even save you time. How so? Well, if you declutter in a way that you organize a garage sale, or you give the things you no longer use to a charity, you will have more space in your home and in your head. You will have fewer things to pack and therefore more time. Of course, decluttering action takes at least a day. So, make sure to do more important things first, such as hiring movers company. Moving on a short notice definitely is a challenge. However, it is possible and there is no reason to have a bad relocation because you have too little time for this move. That is why, you should take some vitamins, eat well, and start working on this moving process. Once you move, you will see how this was a piece a cake, and maybe even fun. So, do not waste any time and start following the tasks we mentioned above.